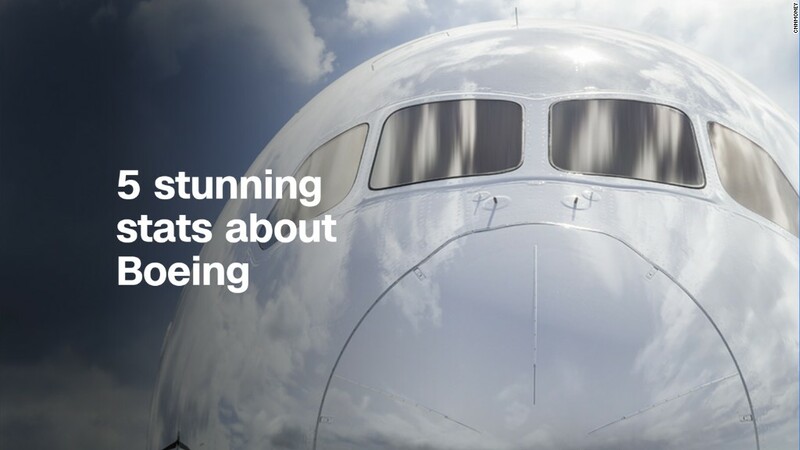 Boeing thinks 2018 is going to be special. The world's largest aircraft manufacturer reported strong sales and earnings. Boeing told investors Wednesday that its profit outlook for the rest of the year will be even better than it had thought. Boeing said its outlook improved because of cost controls -- not because it expects plane sales to rise dramatically. The company's profit margin in the quarter increased more than 2 percentage points, which helped lift earnings by 57% to $2.5 billion. Revenue rose 6% to $23.4 billion. Investors worried the company could lose out from a bubbling trade war between the United States and China, one of its most important markets. Boeing is the nation's largest exporter. Aluminum prices have risen this quarter, because of the Trump administration's tariffs. Boeing is a major aluminum buyer, but Wednesday's results and guidance shows that rising commodity prices are not yet eating into its profit. The company's results and guidance helped lift the stock about 3% in premarket trading Wednesday. Boeing's stock was among the Dow's best performers last year -- its price nearly doubled. It is among the leaders this year as well with shares up nearly 12% going into Wednesday's trading.